Dr. Melissa A. Seeker joins the Women’s OB/GYN Medical Group to become part of a unique team of highly skilled healthcare professionals. 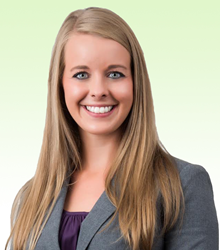 Dr. Melissa Seeker has joined Santa Rosa’s preeminent Women's OB/GYN Medical Group. She is an alumnus of Saint Louis University where she graduated as a member of Alpha Sigma Nu with honors prior to receiving her MD at Creighton University School of Medicine. She served as Chief Resident in Obstetrics and Gynecology at the University Of Arizona College Of Medicine – Phoenix, formerly Banner University Medical Center, where she underwent her residency training. Dr. Seeker holds many awards and honors in her specialty of Obstetrics and Gynecology including the Award for Excellence in Female Pelvic Medicine and Reconstructive Surgery from the University Of Arizona College Of Medicine – Phoenix. During her medical training, she spent six weeks in the Philippines, Malaysia, and Indonesia providing care to over 3,500 patients with a small medical team. Her resident research project in minimally invasive surgery was selected for presentation at the Society for Gynecologic Surgeons Annual Scientific Meeting. Dr. Seeker also received advanced certification in integrative medicine after completing an elective course from The University of Arizona Center for Integrative Medicine. Dr. Seeker has special interest in pregnancy education and has volunteered her services to worthy organizations and outreaches specializing in gynecologic care. She is happily married and the proud owner of two boxer dogs and one cat. Outside of medicine, she enjoys traveling, scuba diving, camping, hiking, cooking, and enjoying the great outdoors. As recognized leaders in the OB/GYN field, the Women’s OB/GYN Medical Group has offered a full range of premier obstetrics and gynecology services and expertise to women in the North Bay area for more than 25 years. The provider team of expert OB/GYN physicians, certified nurse midwives, family nurse practitioners, and medical assistants provides unmatched care to patients in the Santa Rosa region. As women proudly serving women, this unique group understands patient needs and expectations like no other. Along with Dr. Seeker, the Women’s OB/GYN Medical Group’s staff of physicians includes; Lela Emad, MD, Shazah Khawaja, M.D., Amita Kachru, M.D., Susan Logan, M.D. and Tara Bartlett M.D. Together, these doctors share a unique whole-body approach to medicine as they work to discover the underlying causes of a woman’s health problems, rather than simply treating the symptoms. Every one of the health professionals at Women’s OB/GYN is committed to both alleviating short-term ailments and maximizing long-term health. The Women's OB/GYN Medical Group strives to better the lives of all women with a holistic approach to women’s health. To learn more about these fine physicians and the many services provided by the Women’s OB/GYN Medical Group visit the website. To schedule an appointment with Dr. Seeker, please call: (707) 579-1102.